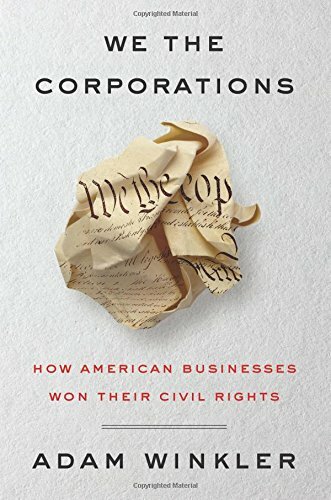 We the Corporations chronicles the astonishing story of one of the most successful yet least well-known “civil rights movements” in American history. Hardly oppressed like women and minorities, business corporations, too, have fought since the nation’s earliest days to gain equal rights under the Constitution―and today have nearly all the same rights as ordinary people. Winkler enlivens his narrative with a flair for storytelling and a colorful cast of characters: among others, Daniel Webster, America’s greatest advocate, who argued some of the earliest corporate rights cases on behalf of his business clients; Roger Taney, the reviled Chief Justice, who surprisingly fought to limit protections for corporations―in part to protect slavery; and Roscoe Conkling, a renowned politician who deceived the Supreme Court in a brazen effort to win for corporations the rights added to the Constitution for the freed slaves. 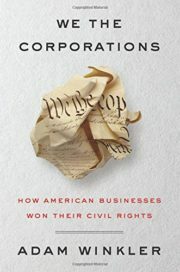 Alexander Hamilton, Teddy Roosevelt, Huey Long, Ralph Nader, Louis Brandeis, and even Thurgood Marshall all played starring roles in the story of the corporate rights movement.